Office 365 usage has tripled in the last 9 months as more and more companies enable anytime, anywhere access to Microsoft’s suite of cloud services. But security and compliance require a new level of granularity when users access cloud-based systems of record from a variety of networks, locations, and devices. In today’s cloud-first, mobile-first world, IT Security teams are creating variable trust models based on user, device, activity, and data sensitivity. 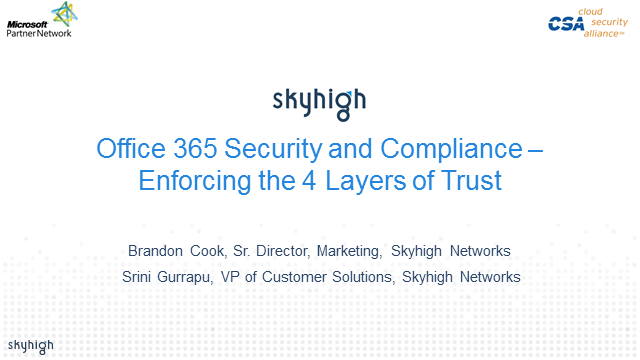 In this session, we’ll share the proven 4-layer trust model for security and compliance in O365.